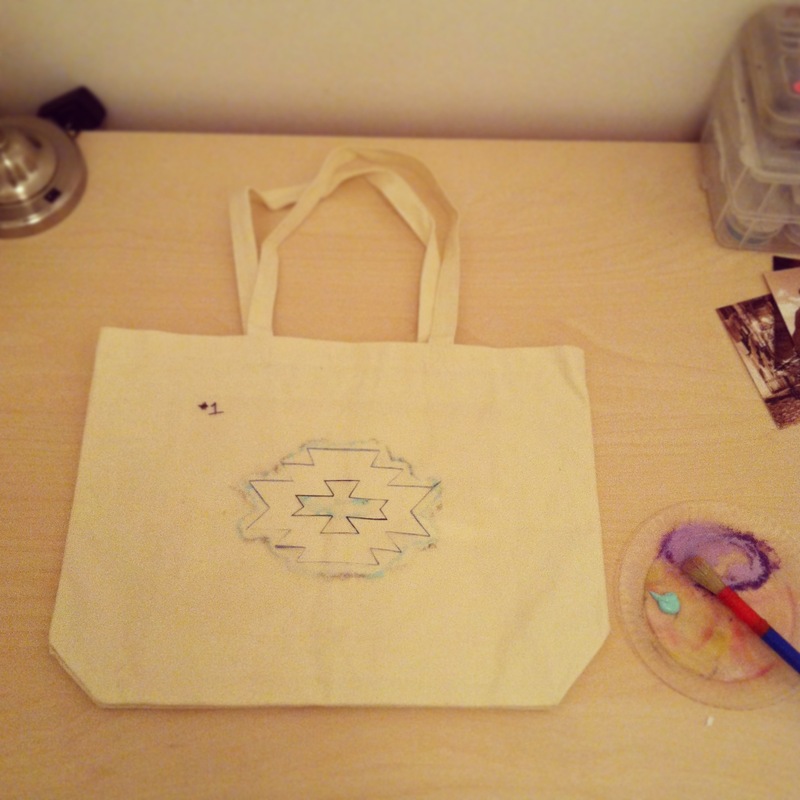 Earlier this week I worked on a quick and fun DIY project – a stenciled tote. 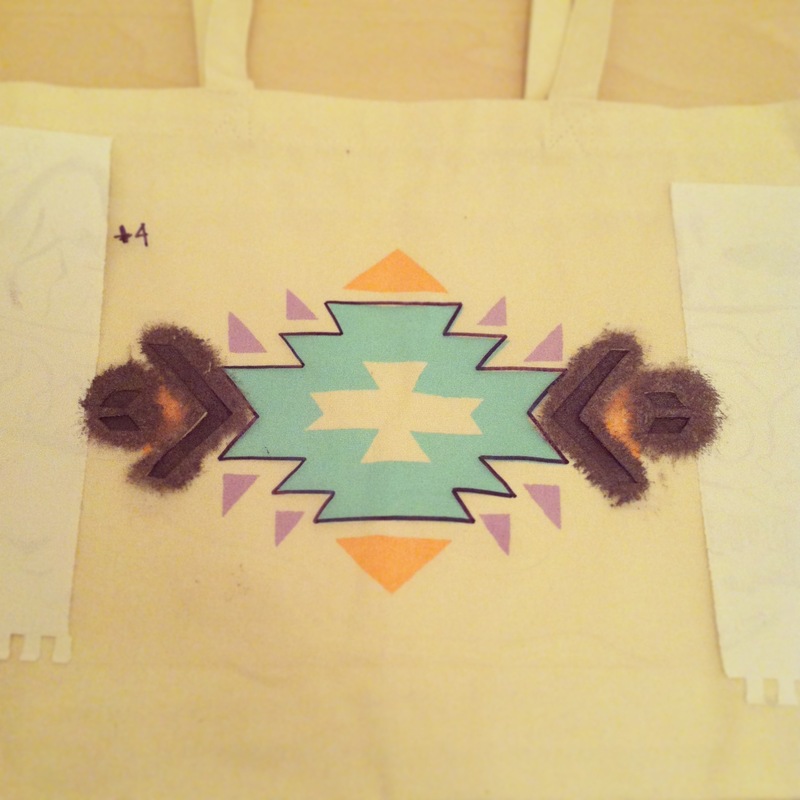 I’ve been using the tote I made in the Lotta Jansdotter workshop, but it’s starting to wear out a bit, so I thought it was time to make myself a new one! I decided to print a 4 color design, so I had to make 4 different stencils – one for each color. 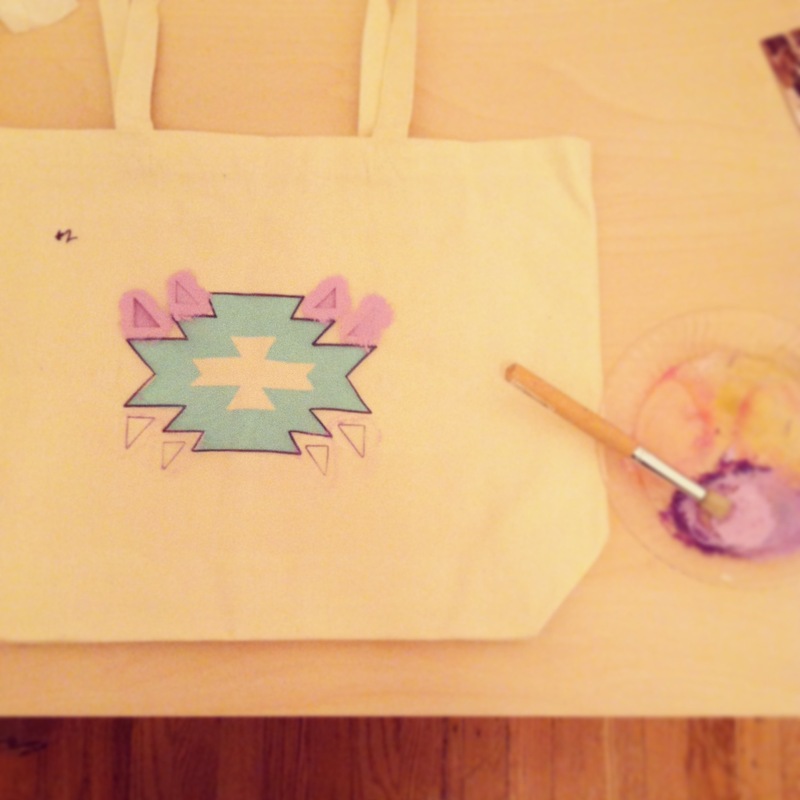 Along with your stencils and tote, you’ll need fabric paint and a stencil brush. I’m so excited to use it! 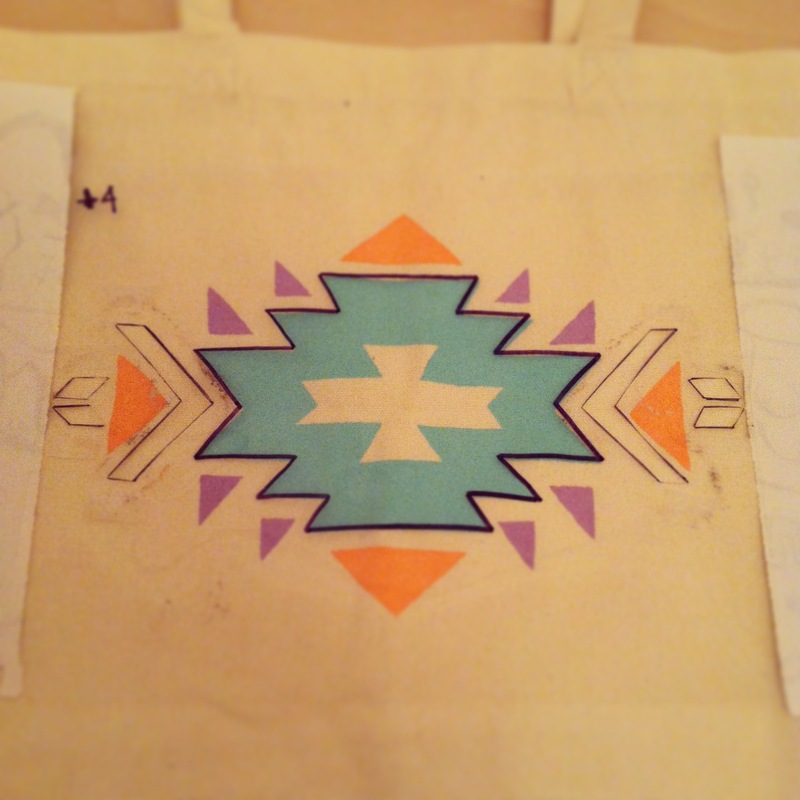 I think it is going to be a fabulous spring tote! 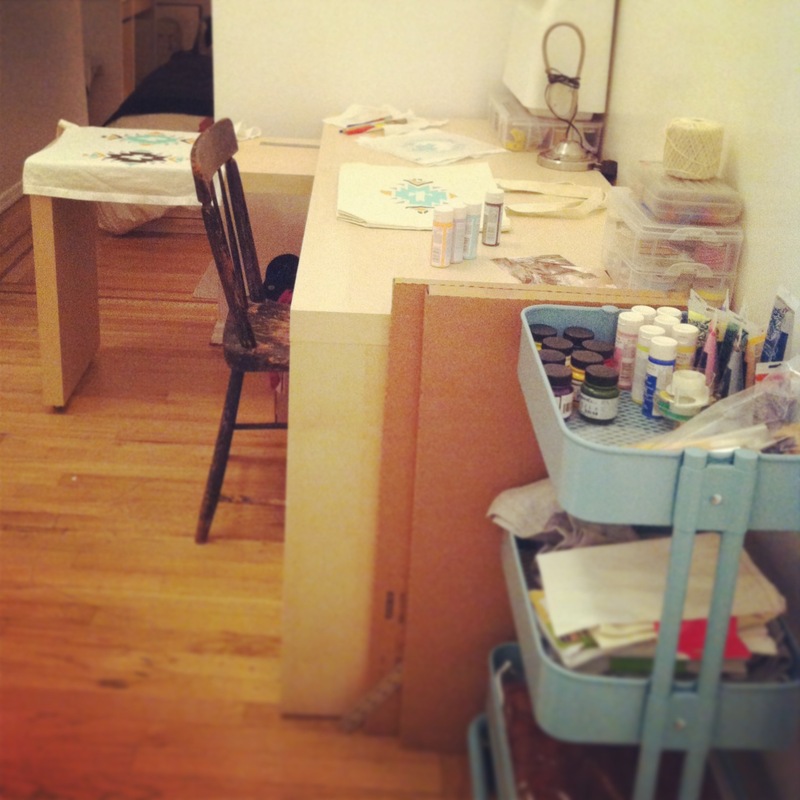 Also exciting – this was the first project I did in my craft room in my apartment! I still have quite a bit to organize and I have some cabinets to hang, but its definitely functional! Happy Wednesday, everyone! 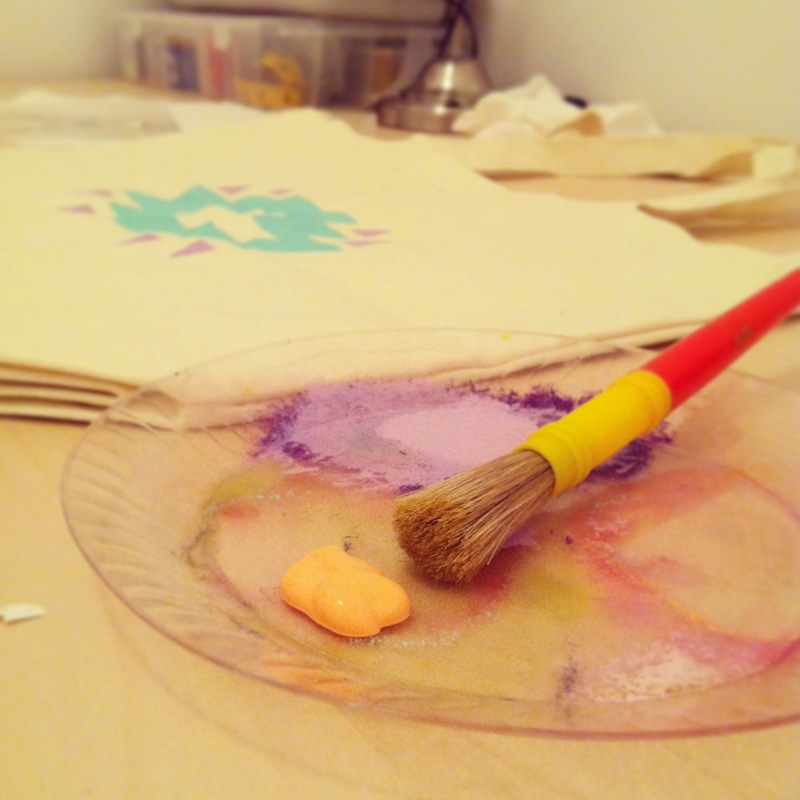 If you liked this post, you may want to check out my DIY Stenciled Napkins. 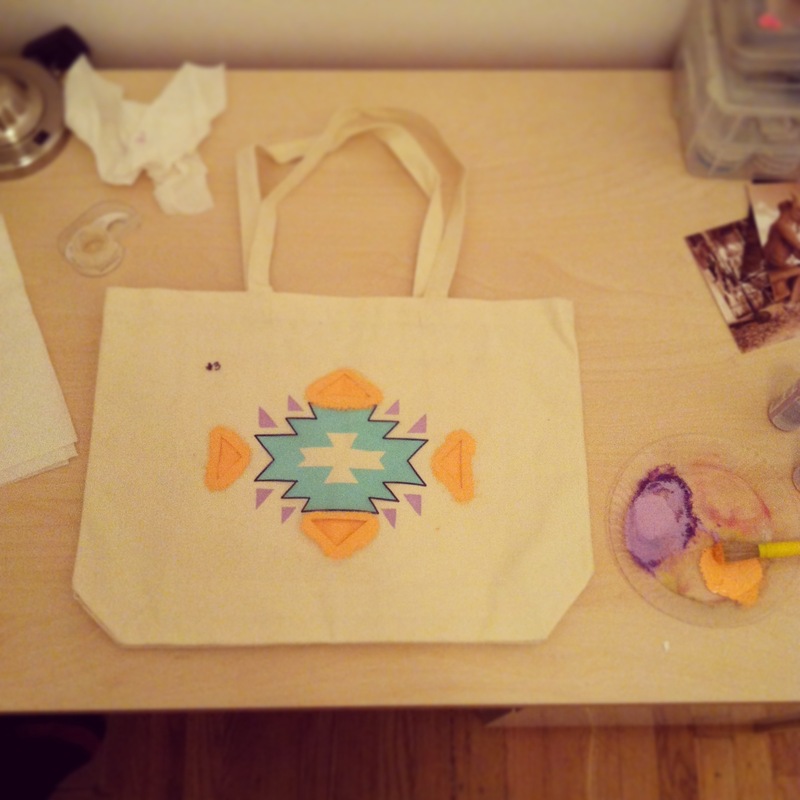 This entry was posted in Accessories, Art, Crafts, DIY, Fashion, Photography and tagged art, arts, Aztec, crafts, creative, DIY, hand printed, hobby, instagram, iphone, iPhone photography, photography, printmaking, stencil, surface printing, textile design, tote, tote bag on March 27, 2013 by acuriouslychiclife. This entry was posted in Accessories, Art, Photography, Society6 and tagged art, art print, art prints, arts, balloon, creative, dream, Eiffel Tower, elephant, flowers, free shipping, Hoboken, illustration, iPad, iPad skin, iphone, iPhone case, iPhone photography, laptop skin, New York, New York City, paris, photography, pillows, seagulls, society6, stationary, t-shirt, the perks of being a wallflower, tote, tote bag, typography on February 7, 2013 by acuriouslychiclife. 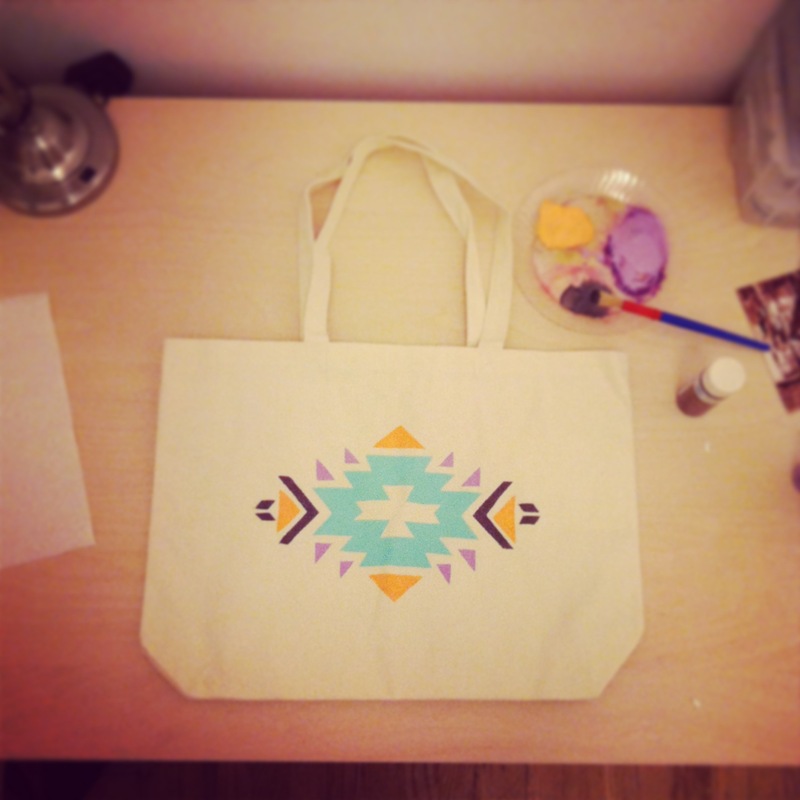 Society6 – Free Shipping & New Products! Free Shipping now through Sunday on my Society6 products! 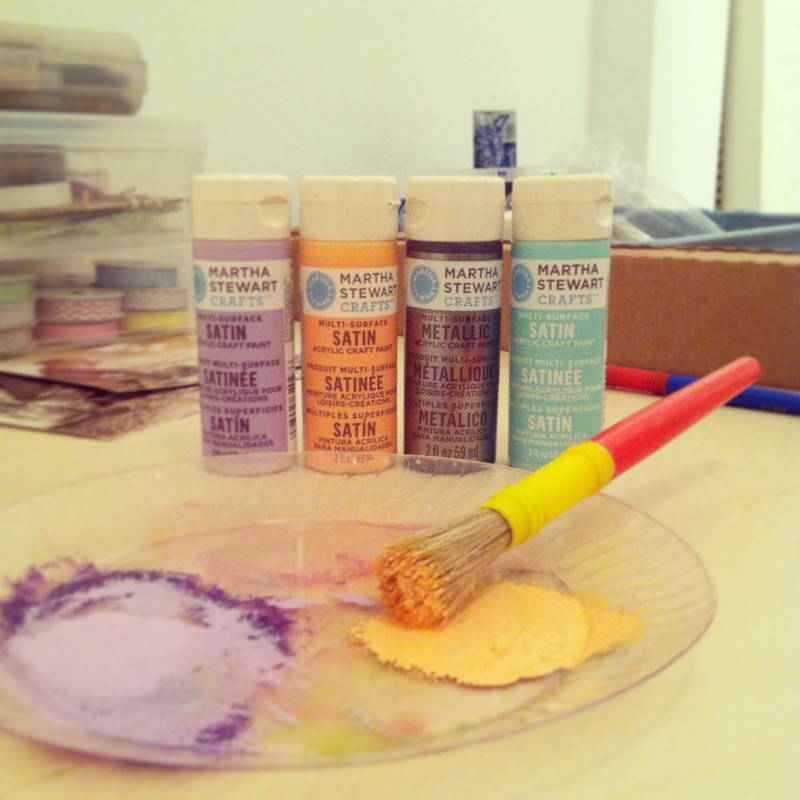 And just in time, I’ve added two new products to my shop! You may recognize them from my “Playing with Text and Images” post. Now’s the time to add something curiously chic to your life! So get yourself a new iPhone case, iPad skin or even a throw pillow and take advantage of free shipping! This entry was posted in Accessories, Photography, Society6 and tagged apple, art, art print, arts, balloon, book, book quotes, creative, elephant, free shipping, gadgets, happy, illustration, iPad, iPad skin, iphone, iPhone case, laptop skin, new day, New York, New York City, photography, pillow, quote, society6, stationary, Stephen chbosky, style, t-shirt, technology, the perks of being a wallflower, the perks of being a wallflower quote, throw pillow, throw pillows, tomorrow is a new day, tote, tote bag on January 22, 2013 by acuriouslychiclife. 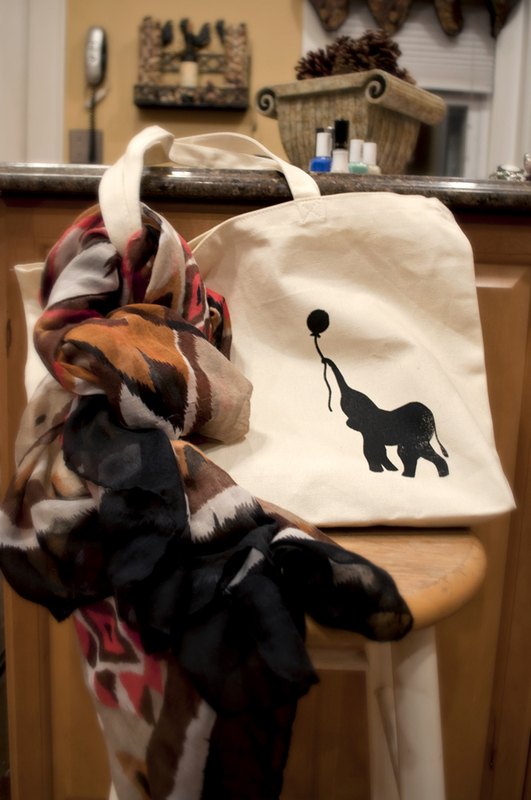 Last night, I photographed the elephant tote I printed on Sunday. I absolutely love the way it came out! 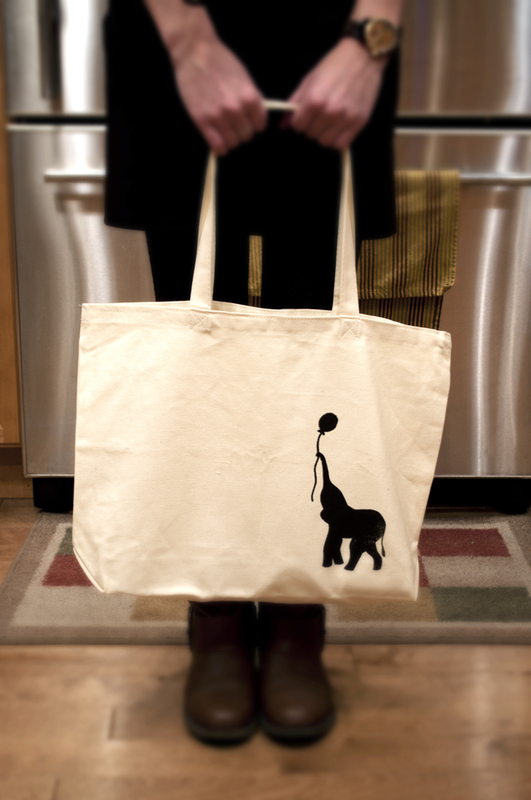 I made this bag for a friend, but I think I’m going to have to print myself one because he makes me so happy! P.S. This is my 50th post! I’m feeling quite accomplished today! Thank you to all of my family, friends, readers and fellow bloggers who have supported me for the last two months. I’m so glad you’ve decided to join me on this journey! This entry was posted in Accessories, Art, Crafts, DIY, Fashion, Photography and tagged accessories, art, bag, balloon, creative, elephant, hand printed, happy, hobby, illustration, photography, printmaking, screen printing, Speedball, surface printing, textile design, tote, tote bag on January 17, 2013 by acuriouslychiclife. Society6 Free Shipping & 3 New Products! 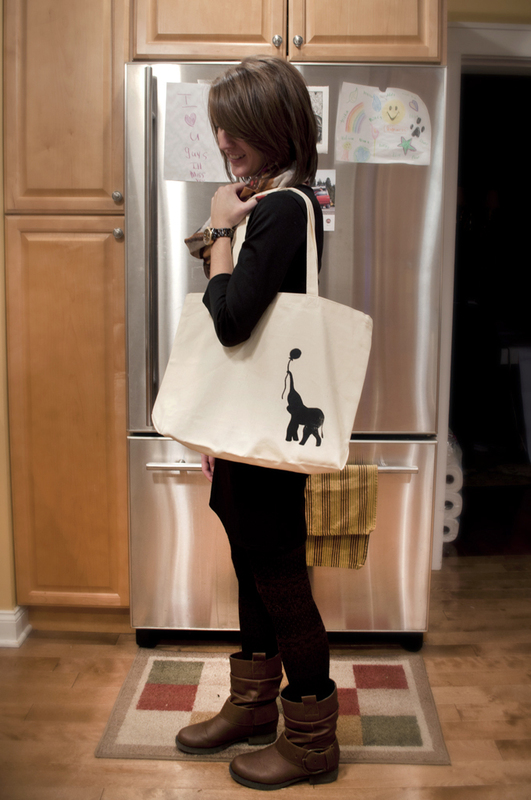 Don’t forget, free shipping on my Society6 products ends TONIGHT at midnight! And just in time for the promo, I posted 3 new pieces. 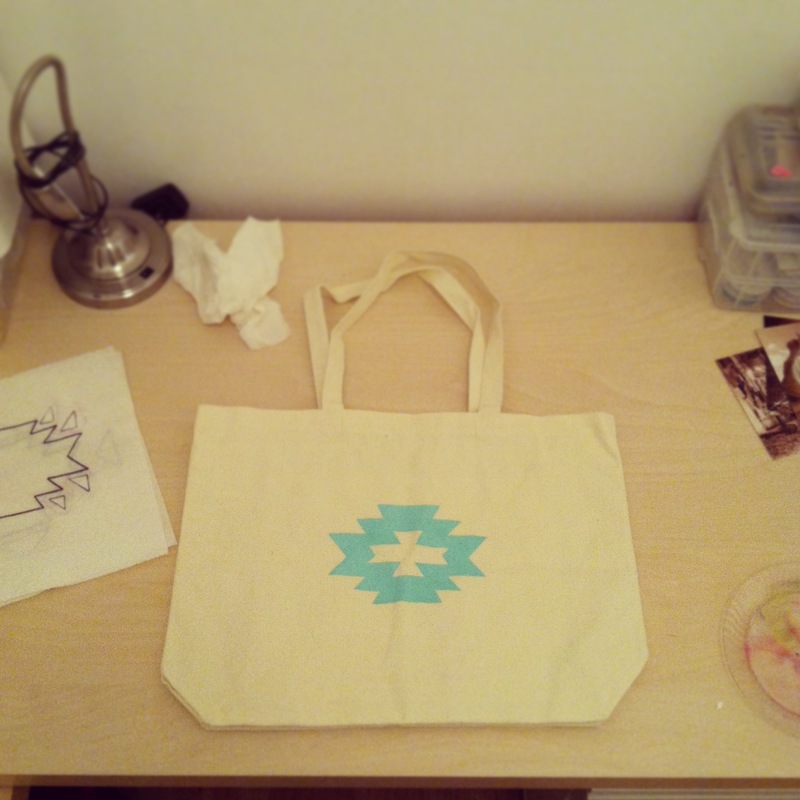 I think you’ll recognize the design from my screen printing workshop! This entry was posted in Accessories, Art, Society6 and tagged art, art print, balloon, couch, creative, elephant, free shipping, hoodie, illustration, iPad, iPad skin, iphone, iPhone case, laptop, laptop skin, lemon, mint, photography, pillow, pink, printmaking, screen printing, society6, stationary, stretched canvas, sweatshirt, t-shirt, throw pillow, tote, tote bag, workshop on January 13, 2013 by acuriouslychiclife.